Hey everyone! So today is Day 2 of me and Jenni's Spring Challenge! 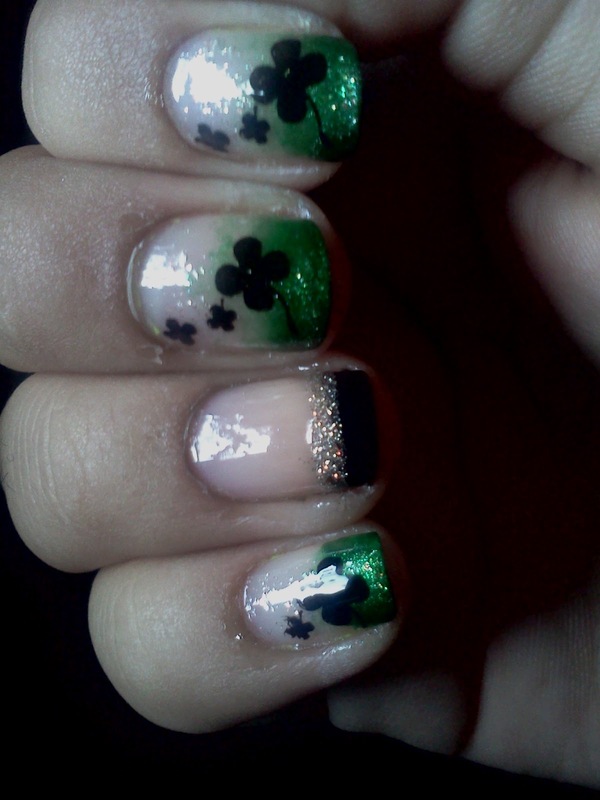 I did a bit of a green and gold glitter gradient with black four leaf clovers and on my ring finger a did a black tip with gold to represent a little pot of gold! Enjoy! Happy St. Patrick's Day!!! 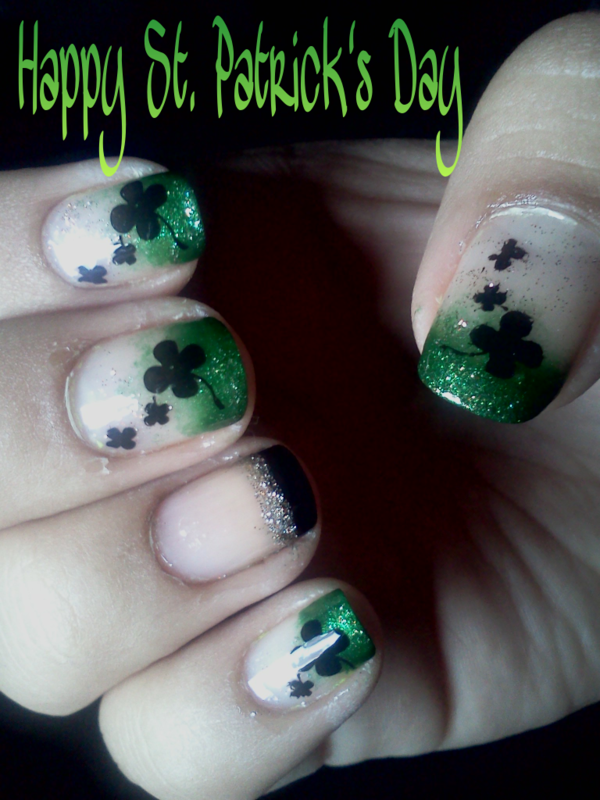 *Don't forget to check out Jenni's blog at Gold Speck Nails to see what she did for Day 2!!! If you have a green polish that works well for stamping you could do a a gold gradient with green four leaf clovers! I wish I would have thought to do this!! 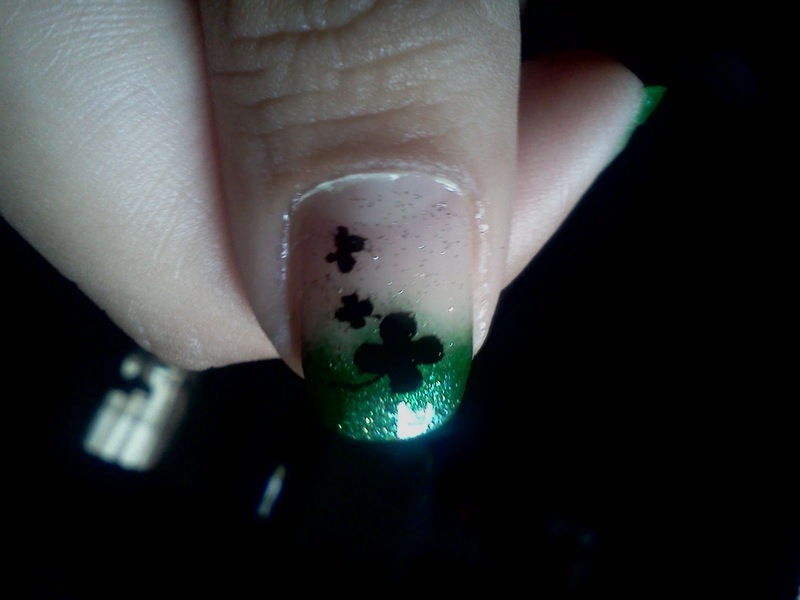 I did a pink glitter tip for Valentine's Day and loved it, I think a green glitter tip would/is pretty too! Such a great idea! thanks :) and thanks for following, i just checked out ur blog and i love it!! 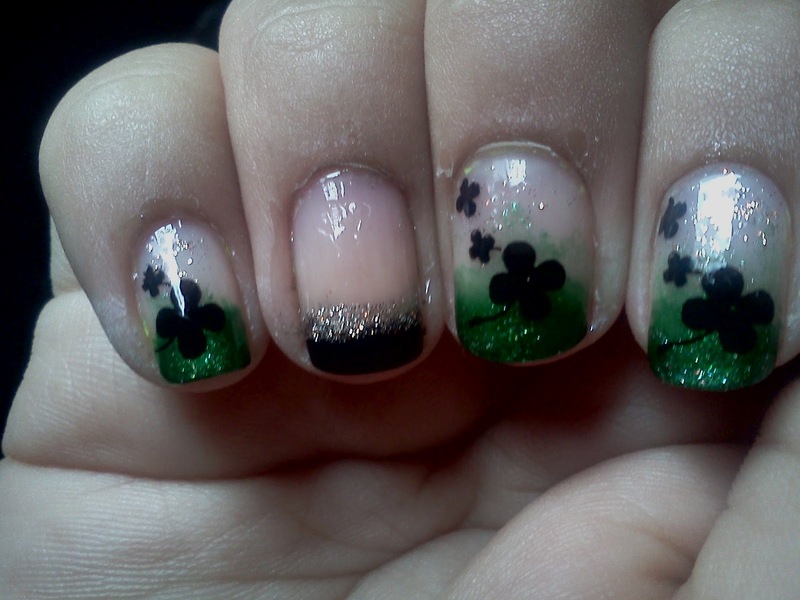 this manicure is adorable!! great job Esme! :) I love it!